Football is a spectator sport and a team is incomplete without a passionate set of fans ready to live and die beside the players and the jersey they support. The fans are the backbone of a squad and the stronger the spine, the stronger and taller the teams stand. Footballers are in plenty around the world playing in thousands of teams and with each team having a fanbase spread around the globe in huge numbers and in such a situation it is almost impossible to decide which team has the best fans in the world. This team certainly has one of the most passionate fans in the world which makes their stadium one of the most intimidating to visit with a gigantic yellow wall on one side filled with fans standing and chanting their team to glory. The supporters showed their love for the club in the Champions League final their side played in 2013 when out of a population of 500k people, 450,000 inquired about the availability of tickets to come all the way to Wembley to rally their team on. 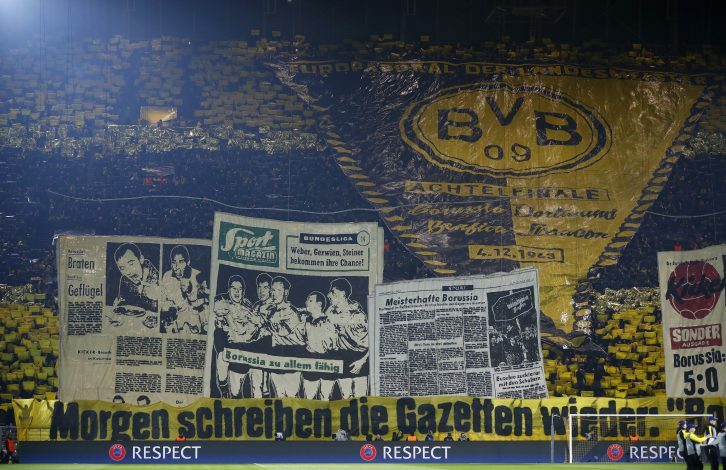 The fans make mind blowing visuals with lfags and papers in the stand and turn the arena into a hell of a spectacle during match days. The average attendance in their home stadium is 80,000 per game, higher than most European teams playing the sport. From the era of The Busby Babes, to The Ferguson generation and now under Mourinho, the fans of Manchester United have been consistently one of the best in the world. With a record of being the loudest fans in England, the club also has one of the largest fanbases around the world. It is also the among the top 3 on social media alongside Real Madrid and Barcelona. Known to create one of the most fearful and competitive atmospheres within a stadium inside a country visiting teams don’t really fancy chances, the fans of this club are list topping contenders in terms of sheer passion and commitment towards the team they support. 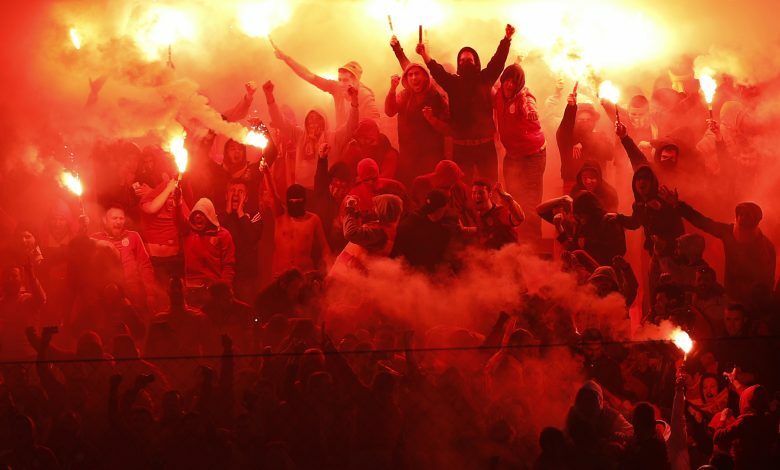 Manchester United Legend Ryan Giggs also said that he had never experienced anything like Galatasaray in his life, where the stadium was packed two hours before the kick off. Apart from these top three big names, there are clubs which are known for having the best set of fans all over the planet. The likes of Real Madrid with their demanding set of supporters, Liverpool with their passionate Kopites who are at their best when they sing The YNWA chant at full volume and of course the FC Bayern Munich club supporters who have the number 12 jersey reserved for them as they are the 12th man in the German team.